Does the test detect Viable But nonculturable bacteria? While the microbiological culture only detects the bacteria that are actually able to grow, the Hydrosense test also detects the Viable But Not Culturable (VBNC) Legionella. These are not detected by the Lab Culture method, but can still infect human lung cells. This means that the Hydrosense test detects some of the risk that the Lab Culture method ignores and, at the same time, provides results much more quickly so that rapid risk management can be initiated. Are the Viable But nonculturable Legionella bacteria really dangerous? Yes. Legionella can change to a Viable But Non-Culturable (VBNC) form when it is exposed to environmental stress due to such factors as biocide exposure, lack of nutrients such as amoeba, high temperature or UV treatment. VBNC bacteria can subsequently re-animate when conditions are more suitable, often many months later. This ability to go dormant and reactivate is likely to be a reason why systems are very difficult to keep free of Legionella even when controls are in place. VBNC Legionella have been shown to be able to infect human lung cells. As a result, VBNC bacteria should be treated as a risk for Legionnaires’ disease. They cannot, however, be detected by any culture technique. Does the test detect dead bacteria? The Hydrosense test detects Legionella pneumophila antigen. This means that the test is able to detect viable and Viable But Non-Culturable (VNBC) bacteria as well as non-viable cells. Although the test is able to detect the antigen of non-viable cells in most cases this is unlikely as antigen tends to be removed from a system quickly or will be below detectable levels when there is no active legionella growth occurring. If the test returns a positive result then action should be taken as the concentration of Legionella bacteria is very likely to be high enough to pose a significant risk to human health. Is there a direct a correlation between Legionella antigen levels and CFU counts? The Hydrosense test measures an antigen response, it does not measure colony forming units. There should be a direct correlation between antigen quantity and number of cells – note the number of antigen-containing cells will be higher than colony forming units detected from culture testing because the VBNC cells are included. A 3rdparty Hydrosense study with PHE (Public Health England) Legionella lenticules of known levels of CFU has shown a linear relationship between the test signal and CFU counts – higher cell quantities show a stronger antigen response as indicated by a stronger test line. Is there a direct correlations between smartphone app reading score and CFU counts in the sample? The Hydrosense test line signal and the Hazard Index increase with increasing concentration of Legionella bacteria. At this time we have not published quantitative values of CFU relating to the Hydrosense App Hazard Index, though the higher concentration of Legionella antigen the stronger the Hazard Index on the Hydrosense Smartphone Reader App. To ensure that water systems on your premises are safe, Legionella testing should be conducted regularly. In some industries, testing is required by law. 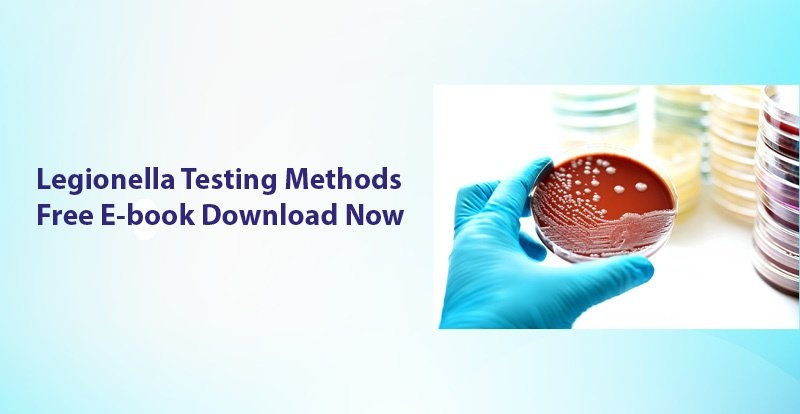 However, choosing the best testing method for your facility can be difficult, especially when regulations in some industries or countries can be unclear or fragmented. Download the Legionella testing ebook to read more about the comparison of Lab culture, qPCR and antigen testing.